The exciting new 2019 Jaguar E-PACE has arrived at Jaguar Colorado Springs! This beautiful Jaguar perfectly combines the practicality of a SUV with sporty elements that owners will love. The powerful 246-horsepower 2.0L turbocharged engine delivers exhilarating performance while offering excellent gas mileage, earning an estimated 21 MPG in the city and 28 MPG on the highway. Innovative design elements will make you feel like you are sitting in a cockpit while driving this elegant Jaguar. Passengers will enjoy the opulent Lunar/Light Oyster interior and the premium 4G Wi-Fi hotspot, which allows for internet connectivity for eight devices. This sport-inspired compact SUV is loaded with features you will love including the Cold Climate Package (perfect for cold and snowy days), panoramic sunroof, 18-inch 9-spoke silver sparkle alloy wheels, InControl Navigation Pro system, Brake Assist, convenient backup camera, metal-look interior accents, excellent handling with all-wheel drive powertrain, and much more! 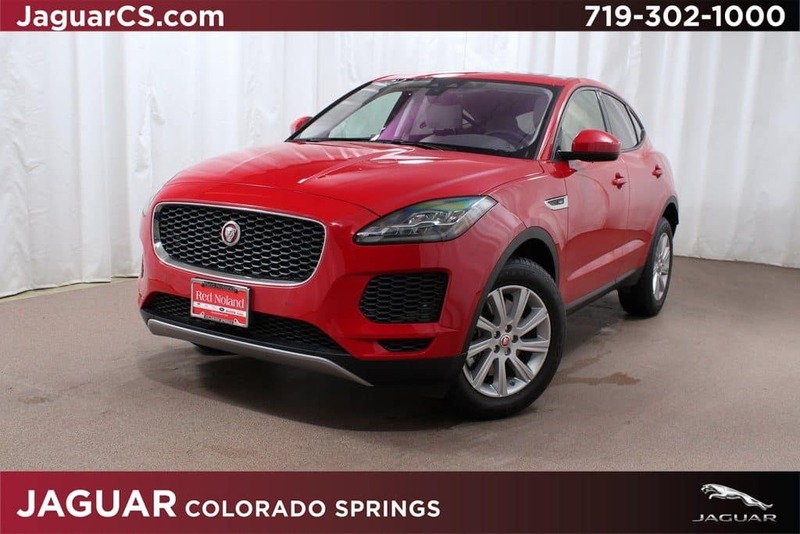 Stop in to Jaguar Colorado Springs today to experience this fun and practical new 2019 Jaguar E-PACE!